A commercial Cygnus supply ship is scheduled to leave the International Space Station on Friday for an extended mission deploying three CubeSats before re-entering the atmosphere and burning up with several tons of trash. The space station’s nearly 58-foot-long (17-meter) robotic arm grappled the Cygnus spacecraft and pulled it away from a berthing port on the orbiting outpost’s Unity module early Friday, setting up for release of the supply ship at 11:10 a.m. EST (1610 GMT) under the command of Expedition 58 flight engineer Anne McClain. The Cygnus spacecraft will fire thrusters to depart the vicinity of the station, then raise its orbit to an altitude of around 300 miles (500 kilometers) for the separation of two CubeSats. The cargo ship will then lower its orbit below the station’s altitude to deploy another CubeSat before conducting a deorbit burn to fall back into the atmosphere for a destructive re-entry over the Pacific Ocean. 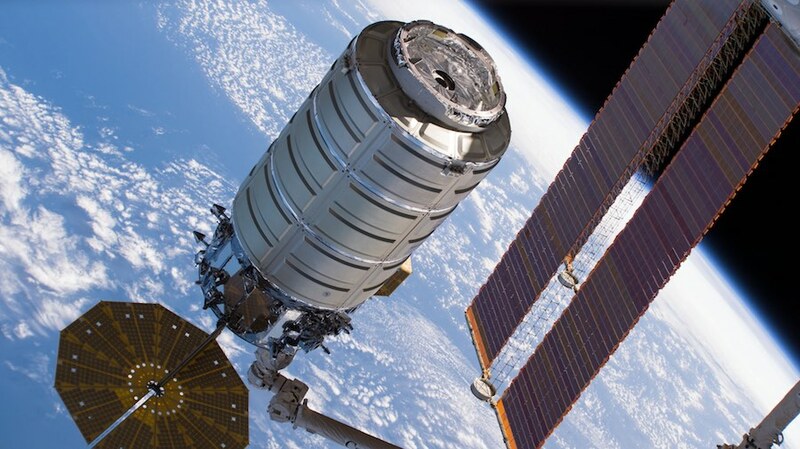 The Cygnus is wrapping up the 10th resupply mission to the space station by Northrop Grumman Innovation Systems, formerly known as Orbital ATK, under an 11-launch contract with NASA. The cargo contract with NASA is valued at $2.89 billion, according to a report by the Government Accountability Office. The cargo craft was christened S.S. John Young in honor of the late Gemini, Apollo and space shuttle astronaut. The ship is made up of a propulsion and service module made by Northrop Grumman in Dulles, Virginia, and a pressurized cargo cabin provided by Thales Alenia Space in Turin, Italy. The S.S. John Young arrived at the space station Nov. 19, two days after launching aboard an Antares booster from Wallops Island, Virginia, delivering 7,215 pounds (3,273 kilograms) of experiments, hardware, spare parts, food and supplies for the station and its crew. The payloads delivered to the station in November aboard Cygnus included a plastic recycler and 3D printer built to advance in-space manufacturing capabilities, and an experiment studying how the human body’s ability to perceive motion, orientation and distance changes in microgravity. Astronauts replaced the fresh experiments and supplies with trash, packing around 5,500 pounds (2,500 kilograms) of garbage into the Cygnus cargo module for disposal during re-entry. The crew also installed a Slingshot nanosatellite deployer and an experimental payload on the forward hatch of the Cygnus spacecraft before Friday’s departure. The experimental payload is for UbiquitiLink, a Virginia company planning to develop a nanosatellite communications network. The experiment aboard the Cygnus is expected to remain attached to the spacecraft. The first two CubeSats to be released in orbit by Cygnus will be MYSat 1 and CHEFSat 2, set for deployment in a roughly 300-mile-high orbit around eight hours after the cargo craft leaves the space station. MYSat 1 is a 1U CubeSat around the size of a Rubik’s cube. Carrying two payloads — camera and a lithion-ion coil cell battery — MYSat 1 was built by Masdar Institute of Science and Technology in Abu Dhabi with the support of Northrop Grumman Innovation Systems and Al Yah Satellite Communications Company in the United Arab Emirates. CHEFSat 2 from the U.S. Naval Research Laboratory will also be deployed in the higher orbit. The deployment of the MYSat 1, CHEFSat 2 and KickSat 2 nanosatellites was arranged by NanoRacks. Re-entry of the Cygnus spacecraft over the Pacific Ocean is planned Feb. 25. Northrop Grumman’s next Antares launch with a Cygnus supply ship to the International Space Station is scheduled April 17 from Virginia’s Eastern Shore.